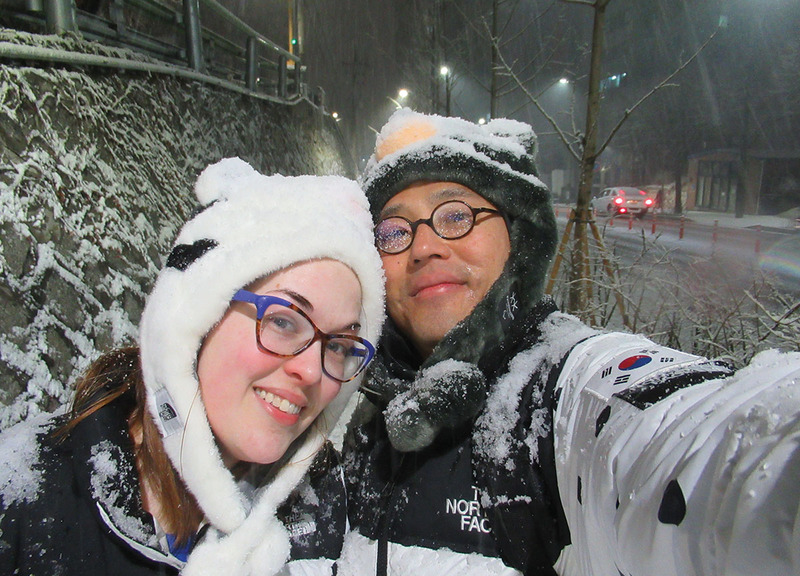 OLYMPIC MOMENT Claire Sewell (left) and Johnny So stop in the falling snow for a selfie in Seoul, walking back to their hotel after a late night at the Olympics. Johnny So had been to Seoul many times. His parents took him to the land of their birth to celebrate Korean Thanksgiving (“Chuseok”), Christmas, the Lunar New Year (“Soellal”) and family gatherings; most of his extended family still lives in Seoul. But this year was different: first and most obviously, because of the 2018 Winter Olympics. But secondly, because it would be his first chance to share his parents’ homeland with his wife, Claire Sewell. Johnny and Claire were both born and raised in the Pasadena area and now live in West University, and Johnny’s parents had a pipeline supply business on the same street as one of Claire’s longtime friends. Claire saw Johnny’s profile on Yelp and reached out to him, and the rest, as they say, was history. 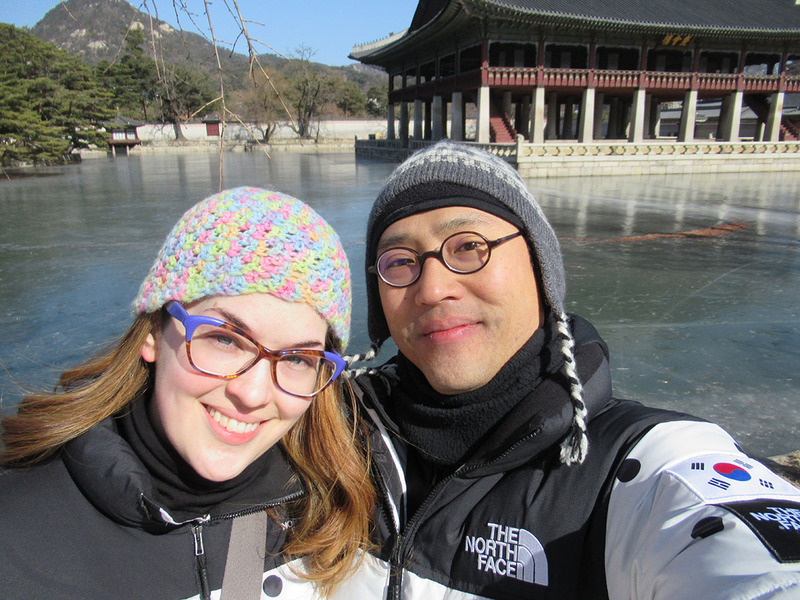 Johnny had been to Korea a couple of times since the couple’s marriage in 2014, but Claire, now a librarian at Fondren Library at Rice University, could never manage to get off work at her previous library. When they learned that the 2018 Winter Olympics would be in PyeongChang, South Korea, it was a no-brainer. Together they would celebrate one of their favorite passions, and Johnny could finally share the experience of South Korea with his wife. They took off on Valentine’s Day on the Western calendar and landed on New Year’s Day on the Asian lunar calendar, in time to catch a traditional dance performance. 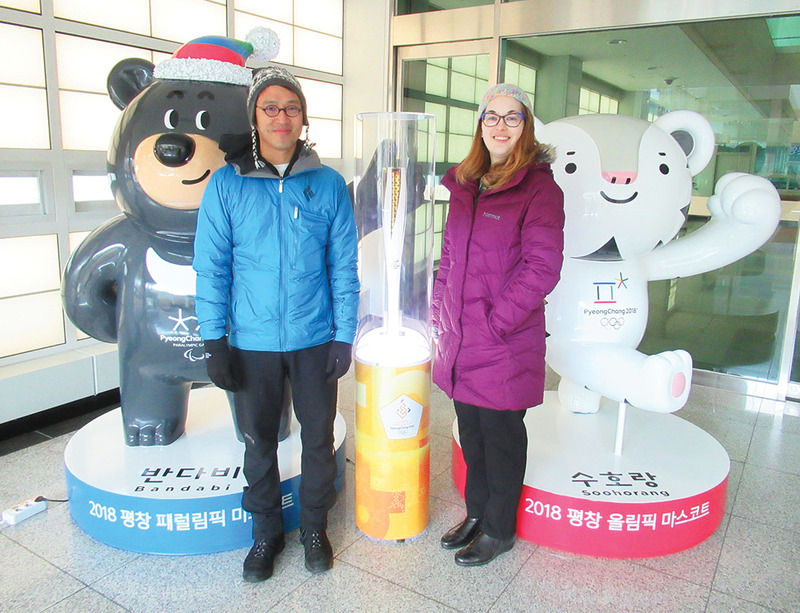 FEEDING THE FLAME Johnny So and Claire Sewell were surprised to see an Olympic torch on display at the DMZ. “When we were planning the trip in the U.S. we were kind of worried,” said Johnny. With three different venues, each of them 20 miles apart, how would they get from place to place? They needn’t have worried; South Korea’s world-class mass transit was up to the task. Once you got to the location, you still had to get to the event venue. But there was a constant stream of buses to shuttle passengers to the venues. Helping hands seemed to be everywhere; they never wanted for an answer to their questions, delivered with a smile. “Everyone that was volunteering or working for the Olympics seemed genuinely happy to be welcoming us to their country,” he said. Claire likes figure skating, while Johnny goes for the extreme sports. The pair came to a compromise where they’d see a couple of snowboarding events and then pair that with figure skating, and then go to some events they both favored, like speed skating. A particularly poignant moment came when a group of around 70 North Korean cheerleaders came out to perform at the speed skating arena. They were part of a 400-strong contingent of North Korean athletes, support personnel, and cheerleaders who attended the event. IN THE STEPS OF THE ROYALS Claire Sewell, left, and Johnny So on the grounds of the Gyeongbokgung Palace. “It was poignant, from the standpoint that they were cheering for the South Korean athletes – which I thought was very touching,” said Johnny. “It was a reflection of their view that there really is one Korean people.” He downplayed political tensions, finding the “saber rattling” over the past year to be a familiar theme and not unexpected given that the U.S., North Korea and South Korea are all simultaneously under new leadership. Besides the Olympics, there was time for sightseeing. Strangest was the visit to the Demilitarized Zone, on the border between the two Koreas, at war for more than half a century. “It’s kind of an unusual thing, because someone had the idea we should provide tours of what is the most heavily fortified military border in the world – so when you see that, it emphasizes that North and South Korea are still at war; you see the barbed wire, you see the warning signs, you hear about the landmines, you hear the propaganda coming from the speakers – but at the same time, there’s a tour. Other stops were decidedly more typical. They toured two ancient palaces dating to the days when Korea was its own empire. They visited the 14th century Gyeongbokgung Palace during Lunar New Year, when cultural performances of traditional Korean music and dance were in the offing. Many visitors dressed in their hanboks (traditional Korean dress). The National Folk Museum of Korea is also located inside the complex, so they visited that as well. Outside they had a free postcard event going on so they sent home some postcards decorated with Soohorang, the white tiger mascot for the 2018 Winter Olympics. They were surprised to see thinner crowds than normal; Johnny speculated it was because many people took advantage of the Lunar New Year to go on vacation, as Koreans traditionally use the time to visit their family and hometowns. But one time-honored tradition took them to some decidedly more modern shrines to commerce: department stores such as Shinsegae, the world’s largest at more than 3 million square feet. “Koreans take their shopping very seriously, and Seoul is kind of famous for its very elaborate department stores,” said Johnny. Typically eight stories tall, they have every high-end designer you can imagine all in one place: Burberry, Fendi, Gucci, Prada, all at your fingertips. 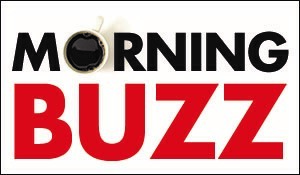 Another major department store doesn’t close until 5:30 a.m. – and it’s open again less than five hours later. Much has been written about South Korea’s “economic miracle” that transformed an undeveloped backwater into one of the world’s richest countries. And along with that wealth, there is an expectation that Koreans deserve to live the good life. Commercialism may have risen to glitzy heights in South Korea, but tradition runs just as deep. And try as he might, Houston-born Johnny can’t quite nail the cultural nuances. 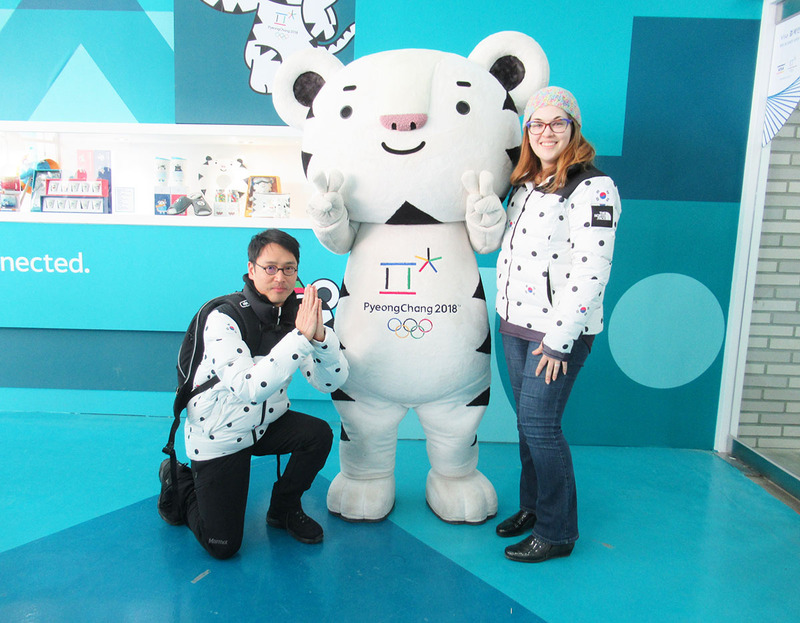 TIGER SPIRIT Johnny and Claire grabbed another chance to hang out with Soohorang in Gangneung. On the other hand, there are certain traditions – like the Confucian emphasis on education, and the deep respect for filial piety – that have infused Johnny to the core. That’s what led him to graduate from Rice University and go on to get his law degree at The University of Texas. It’s also what led him to give up that career after nearly seven years to join his parents in the family pipeline supply business. To Johnny, the biggest cultural take-away he wanted to share with Claire was the East Asian community-based philosophy. It’s something Claire picked up on right away, and one she wishes she could bring back home with her. “There’s also an implicit concept of trust; we took the bullet train 16 times and no one checked our tickets once…. There are convenience store stalls in the subway where they just had the beverages out in a cooler right in the pedestrian corridor.